titles the coverstory of the GEWINN magazine. 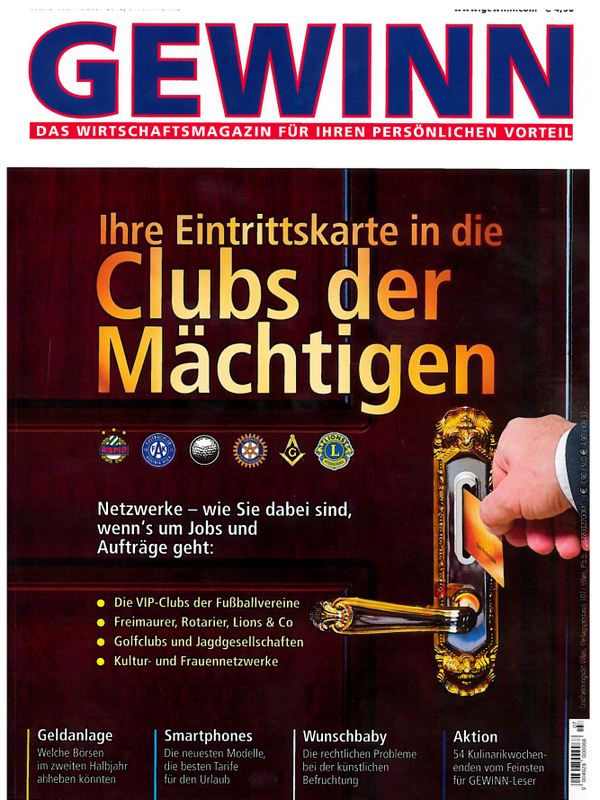 Not only the network of the Austrian soccer clubs is discussed but also those of Rotary Clubs and Hunting Associations. In addition, the article includes networking tips by Harald Katzmair! Download Article Gewinn: "Ihre Eintrittskarte in die Clubs der Mächtigen"